In mid-November, Kazakhstan hosted the third annual “Astana Club,” a new independent and unbiased platform for dialogue among international business leaders, politicians, media representatives, and other experts on the “critical issues affecting all the countries of Eurasia.” The event epitomized Kazakhstan’s foreign policy over the past two decades, at a moment when that policy is set to confront unprecedented tests. Participants in this year’s Astana Club were as high-profile as they were diverse. They included representatives of leading think-tanks from Europe, Asia, the United States and the Middle East; former presidents, such as Turkey’s Abdullah Gül and Slovenia’s Danilo Türk; former European Commissioner Benita Ferrero-Waldner; Indian member of parliament Shashi Tharoor; and the chief executive of Channel One Russia, Konstantin Ernst. The discussions took place in the Nazarbayev Center, housed in an imposing and futuristic building designed by the renowned British architect Norman Foster. In a scene reminiscent of the intergalactic assembly in Star Wars, participants sat at a large table encircling a map of Eurasia to discuss the emerging world order, great-power rivalries, sanction wars, nuclear proliferation, and regional integration projects. This combination of status-seeking public relations and the provision of public goods that characterizes the Astana Club discussions has long been a feature of Kazakhstan’s foreign policy. 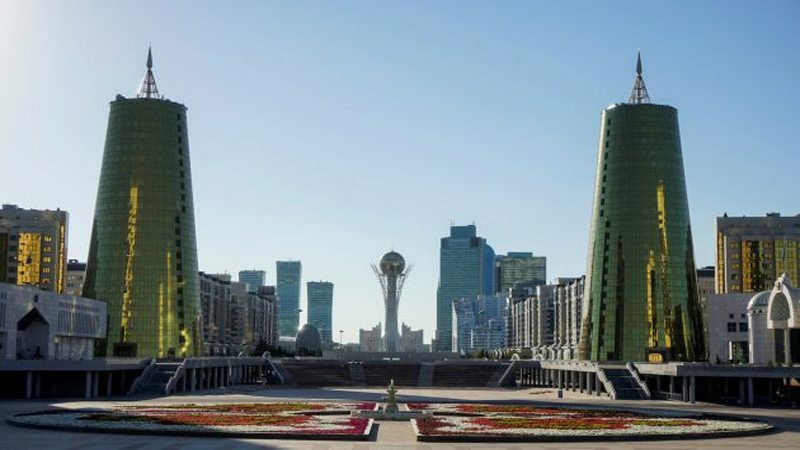 For example, every three years Kazakhstan hosts a Congress of Leaders of World and Traditional Religions, for which it commissioned Foster to build another imposing and futuristic building, the Palace of Peace and Reconciliation. Kazakhstan’s leadership has also worked to place itself at the forefront of the international nuclear non-proliferation movement. And this past October, talks were held in Astana, the capital, on the Syrian crisis, with representatives of the Syrian government and some armed opposition groups in attendance – despite Kazakhstan’s distance from the tragic developments in that country. This approach emerged soon after Kazakhstan’s independence in 1991, when the country initiated the Conference on Interaction and Confidence-Building Measures in Asia, modeled after the Conference on Security and Cooperation in Europe (now the Organization for Security and Cooperation in Europe, or OSCE). It reflects Kazakhstan’s appreciation of the liberal world order into which it was born in 1991 – an order that, at that time, had just received a major boost, with the Soviet Union’s collapse. Kazakhstan was never one to settle for being an accepted member of the liberal world order. It wanted to be exemplary, not just joining multilateral regimes and organizations, but also making its own contribution. That is why Kazakhstan sought the chairmanship of the OSCE, which it obtained in 2010, and pursued a difficult but ultimately successful campaign to become a non-permanent member of the United Nations Security Council in 2017-18. Kazakhstan aspires eventually to join the advanced economies in the Organization for Economic Cooperation and Development.